RHINO MANHOLES by Fibertech provide the highest level of reliability for applications varying from sewer, wastewater, landfill leachate, storm water collection systems to below grade utility inspection chambers. 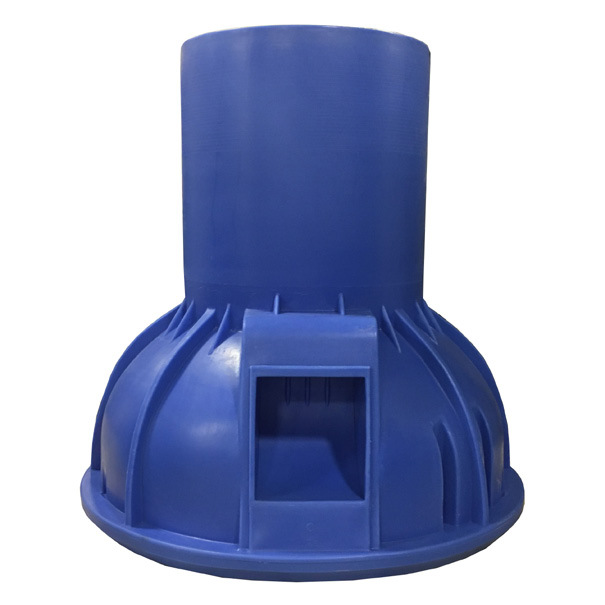 Using 100% virgin polyethylene plastic, our industrial strength plastic manhole unit offers a wide range of chemical resistance to acids and many organic compounds. Because of this resistance, attack from hydrogen sulfide, sulfuric acid and other aggressive chemicals does not occur. RHINO MANHOLES have been field tested under a variety of conditions to meet exacting design and quality standards for long life and corrosion resistance installation. They have been proven to outlast concrete, steel, and fiberglass manholes. accommodates 6”, 8”, 10”, and 12” pipe.